"Lucy, 51, of Penn Township, knows all too well that heroin is an equal opportunity destroyer. Race, gender, age, socio-economic status do not matter. And with heroin purity now in the unprecedented range of 80 to 90 percent, use of the drug in the region has skyrocketed to its highest level in history, with users risking careers, families and life itself in search of that next high." To read the complete Pittsburgh Post Gazette article click on the title above or on the "Read More" below. The baptism completed, the minister slowly carried the baby around the church for the congregation to see. They cooed. What soft skin, what beautiful eyes, what cute cheeks. Lucy Garrighan saw that, too, but couldn't keep from fixating on the veins in the baby boy's arms. Years earlier, before he entered his 20s, her son John's veins were as pristine as this baby's, his future as hopeful as this newborn's. She cried as her mind filled with visions of heroin and syringes and withdrawals and relapses and how John's addiction agony ended in January with a fatal overdose at age 27. "Oh, God," she prayed at a regular Sunday service where the baptism was held. "Wherever you are, don't let it happen to this innocent one." Lucy, 51, of Penn Township, knows all too well that heroin is an equal opportunity destroyer. Race, gender, age, socio-economic status do not matter. And with heroin purity now in the unprecedented range of 80 to 90 percent, use of the drug in the region has skyrocketed to its highest level in history, with users risking careers, families and life itself in search of that next high. John was among them. Eight years of shooting up, cravings, rehab stays, relapses, overdoses, withdrawals, rationalizations and self-loathing culminated with a deadly fix in a locked restroom of Starbucks at Forbes and Shady avenues in Squirrel Hill on Jan. 29. He overdosed on his way to a family gathering, dying the next day at UPMC Presbyterian. For Lucy, the wound remains raw. At times, she speaks of John in the present tense, as if he'll come through the door any minute. Then she catches herself, and the tears well, her hands shake. "If someone had told me 10 years ago that my John, who was an honor student, who had a curfew and was home on time and everything else, would be dead at 27 from a heroin overdose, I would have said 'You're out of your mind, you're crazy,' " she said. "I thought that could never happen to a kid like him or a family like ours." But heroin's siren song did lure a kid like him and battered a family like hers. And not once but twice. I had everything in the world in line for a successful, fulfilling life, yet somehow, choice by choice, I decided to get a disease. ... I've run, I've hidden but this demon kept finding me, anywhere and everywhere. John was a precocious child. Smart, inquisitive and musical, he learned to play the guitar at 11 and performed in the church band. At 14 he formed The Berlin Project, a pop-punk band named for a computer hacking program. He was still attending Penn-Trafford High School when the band debuted in 1998 with "Running for the Border," featuring a cover of Snoop Dogg's "Gin and Juice" that became a viral hit through Napster. By the time he was 22, the group had toured nationally and sold tens of thousands of albums. The family was upper middle class, with a nice home on a cul-de-sac in Penn Township. Lucy and her husband, John, had four children, all seeming to thrive academically and socially. John was the oldest, followed by Abbie (three years younger) Daniel, (another year younger) and the baby of the family, Jamie (16 years younger than John). The couple owned a successful office machine and printing business. Then Lucy and her husband split up in 2002, leaving her with three teens and a toddler to raise. Six months later, her life was shaken to the core when John, then 19, admitted he was a heroin addict and needed help. "It was like a bomb went off; it was Hiroshima," Lucy said. 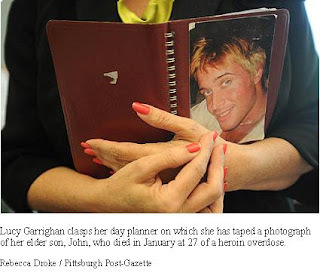 Within a year, a heroin overdose in the Garrighan household nearly claimed a life -- Daniel's. Only 17, he had been using for more than a year. Now, she had two sons whose lives were in peril. Help! Help! Help! Please cure or kill me! ... Please someone tell me I'm cured. I can't keep up this roller coaster. ... Why did I fall in love with a drug, let alone many drugs? Unbeknownst to Lucy, John had been self-medicating his then-undiagnosed bipolar disorder since age 13, using his allowance to buy Tylenol PM so he could sleep. Years later, the self-medication became heroin. It wasn't the rock 'n' roll life that got John into heroin but college partying, Lucy said. While attending Robert Morris University, where he studied business and psychology, he lived in Oakland with roommates and the drinking and drug-taking -- marijuana, cocaine -- began at age 18. "One [of his roommates] said to me, 'Mrs. G. we were all partying last night. The thing is John just couldn't stop. He takes it to the extreme.' "
One night, John, while intoxicated, fell down a flight of steps, dislocating his shoulder and knocking out a tooth. A dentist prescribed him the painkiller Vicodin -- in Lucy's view, the beginning of John's end. "From taking Vicodin he went to crushing and snorting it. And then Vicodin wasn't strong enough, and he goes on to Percocet, and OxyContin." Like many others, John became addicted to OxyContin, which on the street can cost as much as $80 for a single 80-milligram pill. Soon, like many OxyContin addicts, John realized it was much cheaper to buy heroin at $10 or less a stamp bag. High purity levels made it possible to snort the heroin for a high, removing the stigma of injecting it. But addiction kicked in so quickly -- and the withdrawal hurt so much -- that soon John was injecting it into a vein, the fastest, most potent drug delivery system. "I was concerned about his drinking the first six months and then I became suspicious [about drugs]," Lucy said. "It was the look in his eye." She confronted him. John denied it for 15 minutes. And then revealed his painful secret. Within 24 hours Lucy had him admitted to a 28-day inpatient treatment program. John got clean and remained so -- for two months. He relapsed, the first of so many backward slides. Lucy was not deterred. She took John on cross-country treks, from one treatment facility to another, from Arizona to Georgia to upstate New York. In all, he was admitted to nine inpatient rehab treatment centers and many outpatient facilities. "I thought it was an acute illness, that if I spent $35,000 and sent my kid there for 28 days he would be OK. But it's a chronic lifelong disease. 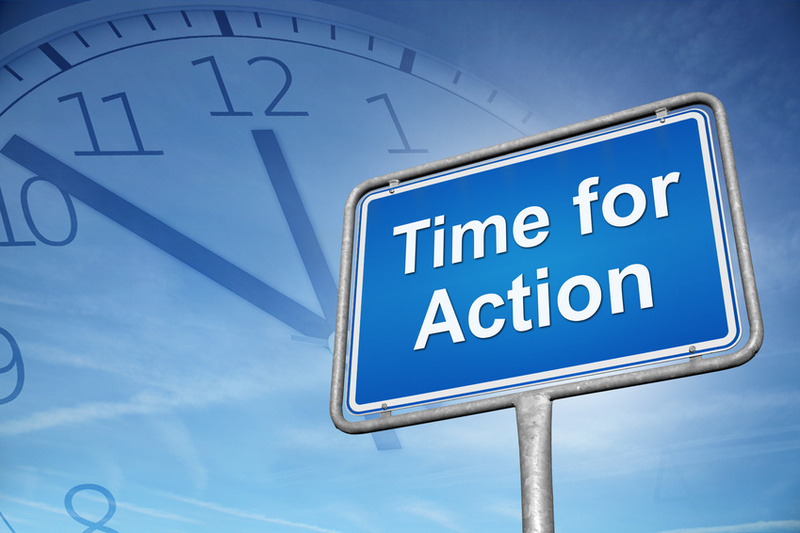 You have to be actively involved in recovery your whole life to have a life." The leaves are beautiful auburn, the breeze massages my head and the scent of the season is refreshing ... Not a bad outlook for a dying man. ... Could it be that I'm getting a chance to die all over again? But this time just maybe I'll have a chance to live first. Lucy had invested more than a year's worth of time, money, emotion, prayers and love into John's recovery when she learned she was the mother of two addicted sons. It was the night of Abbie's graduation from Penn-Trafford and most of the family had headed to the ceremony. John, who that day had hooked up his withdrawal-sickened brother with a Hill District heroin dealer, decided to check on Daniel in the family home. He found his brother in his bedroom, blue and without a pulse, and performed CPR until paramedics arrived. Lucy's life became a cycle of rehab stays for both sons, with alternating periods of hopeful sobriety and demoralizing relapses. Because many health insurance policies didn't cover substance abuse treatment, Lucy cashed in her 401k and life insurance and refinanced her house to pay the estimated $400,000 needed for rehab stays, psychiatrists, counselors and doctors. "There is no manual on how to be the mother of a heroin addict," she said. "A lot of times the things I did made it easier for them to use drugs by believing their lies. "Lying is a symptom of the illness of addiction just like high blood sugar is a symptom of the illness of diabetes. They both could have won Academy Awards for the lies they told. "If they have to steal from their mother, they will and they have. They will steal from their family. Do they feel guilty? Yes, but they do it because it's the only way they see they can survive." The longest John was off heroin during those eight years was five months. He suffered about five nonfatal overdoses, including one during which he was rushed to a hospital without a pulse. "I learned how to take a pulse and respiration so I would know whether he was going into an OD or was just using and sleeping. I had to assess the situation," Lucy said. "It's exhausting beyond words to cope with this and deal with this and face it, but there is no comparison to the exhaustion of grief of losing a child. There's none." My disease is dormant. ... I must keep it inside of me. God help me if it finds its way out. Lucy wasn't the only one in the Garrighan household affected by John and Daniel's addiction. Abbie, at 18, took on the role as a surrogate parent, supporting Lucy, trying to help the brothers and assisting in the care of her young sister, Jamie. While earning a degree in business and entrepreneurship at Duquesne University, Abbie, along with her mother, came up with the idea of opening an outpatient substance abuse center, using the brothers' experiences, good and bad, as guideposts. They began developing a business plan in September 2008, and after getting necessary state licensing, opened Jade Wellness Center in Monroeville in 2010, replete with a staff of professional counselors and contracted physicians. 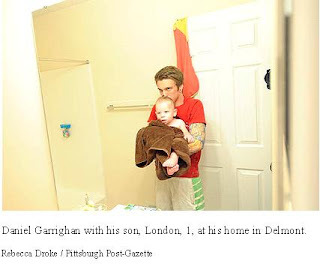 At the time, Daniel had been clean following a lengthy in-patient rehab stint in York, Pa. Now married with a 1-year-old son and studying at the University of Pittsburgh's Greensburg campus to be a drug counselor, he works at Jade, mostly assessing addicts for the level of care they need. Abbie works there as director of operations and Lucy, the founder, serves as president. "Peace, Harmony, Serenity" reads the sign in the center's waiting area -- the Garrighans' wish for all addicts and those affected by addiction like themselves. Lucy hopes that speaking out about her experiences and those of her sons might help change the public's perception of addiction. "It's not a lack of moral character, it's not a lack of will power. It's a disease. You don't hate people with diabetes. "You don't want to be in the club that I've now joined. You don't." "I love life. I can't be of any use to this world dead. ... I want to live. 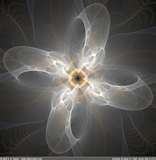 I want to learn. I want to love and be loved. ... I want to be proud of me." As Jade opened, John was spiraling downward. He was clean only a few weeks at a time during his last two years of life. His bipolar disorder cycled more rapidly the older he got. Sometimes he would go three days without sleeping. When the end came, it was shocking. Two nights before, he had played Trivial Pursuit with Jamie, who was delightfully astonished that her big brother had correctly answered all 51 questions he had been asked. The next night, she and John sat at the piano and sang John Lennon's "Imagine." That final day, he was locked in a bathroom alone, a needle in his arm, dreams spent. "I'm the ghost that never died," John had written in his rehab journal. "I'm the truth that always lied. I'm the one you know you'll find alone." Daniel Garrighan, 23, of Delmont, began injecting heroin when he was 15. His brother, John, 27, likewise a heroin addict, suffered a fatal overdose in January. After numerous stays in inpatient treatment facilities and subsequent relapses, Daniel has been off heroin for two years. Married and the father of a 1-year-old son, he works as an intake coordinator at Jade Wellness Center in Monroeville, where his mother, Lucy, is founder and president and his sister, Abbie, is director of operations. He also is attending the University of Pittsburgh in Greensburg, studying psychology in hopes of becoming a drug counselor. I was vice president of my junior high school. I was really against smoking cigarettes and drinking. But after eighth grade I started drinking and smoking weed. I decided it was normal for me to drink and smoke weed because that's what kids did. Cocaine happened pretty quickly after that. Everything progressed very quickly. I went from being in eighth grade and never touching marijuana ... and by the time I was getting out of freshman year I was doing heroin, and by the time I was a sophomore I was shooting dope. My brother and I used heroin together a good bit at the beginning. We didn't find it in the same route; we both ended up drug addicts by our own means, but we used together. I snorted it a couple of times. I went intravenous pretty quickly. We're all good at hiding it for an extended period of time, but you only can hide it for so long. On the day of my older sister Abbie's high school graduation, I was looking to get high. I was starting to get sick, going down, and couldn't find anyone with heroin. My brother gave me a phone number to call. I went down to the city, got drugs, brought them home. I said I'd meet them at graduation, I'd go with my brother. That was the plan. I shot up, and basically within 30 seconds I fell out. For some reason, John came upstairs. John gave me CPR until paramedics came, I kept falling out, he kept me breathing. When he came up, I was blue, he said. The next thing I remember is I threw up on a bunch of cops in my room and was being wheeled out. In the ambulance I can remember this paramedic's face, and he said to me it was the seventh time that week they had responded to an overdose and I was the first one he could talk to, the first one who was alive. What he said wasn't a big deal to me until years later. I think I used [heroin] a day or two later. It gets to the point pretty quickly that it's not fun anymore. I was using crack every day. I was in a methadone program. I took methadone, heroin, crack, benzos [benzodiazepines like Xanax] and drank. I'd get up, sometimes I would go to the methadone clinic, sometimes I wouldn't. I wasn't going to work ... you don't have any interpersonal relationships. They don't exist unless they're going to benefit me. I didn't grow up aspiring to be a thief of any sort, but I definitely would steal to use. I needed leverage, and, for an addict, the family was the best place to get it. They love you, and you use that to your advantage. I knew my family loved me. I have friends who really care about me, and I took advantage of that. Drugs were a big part of my life; it went on for so long. I got used to it at the time. You probably wouldn't have recognized me. I looked ridiculous. I went to rehab on May 14, 2009. It was a struggle at the beginning, and I definitely fell down a couple times. While in rehab the last time I ended up using heroin on two separate occasions. After that, I just bought crack and threw it out of the window. I was enmeshed in recovery. It's not fun when you get knowledge in your head and are trying to work a program. That's the worst thing for an addict -- when you have a head full of recovery and you pick up drugs and start thinking straight again and think 'What the hell is going on?' You're starting to realize what the hell you're doing again. I was on medication for a long time when I got clean. I was on Suboxone [a narcotic prescription medication used to treat opiate addiction]. I got off of that in January. A lot of different things contributed to getting sober. I definitely had a family who really cared about me. They gave me all the opportunities in [the] world, and they still do. I had a support group in place a lot of people don't have. Finally, I wanted [sobriety] the last time I went to treatment. I definitely didn't go to treatment [previously] wanting it at all. I was going to treatment to get a couple days under my belt so my tolerance would go down so I could continue getting high. My family made it possible for me to be in a residential facility in York, Pa., for 70 some days and to stick around York [as an outpatient] for six months. Some days the only thing I do right is to not have a drug and to not have a drink. I get stressed out; sometimes I don't treat people the way I should. Some days are better than others, of course, but generally speaking, recovery is not just getting through every day not using and not drinking because there are other behaviors I'm still doing that I'm not proud of. Obviously, this job at the clinic seems ideal. It keeps me accountable. I don't find myself unique in any way. I don't think I'm any different from anyone else. I see myself in everyone dealing with this. When people come in, I see that I could be there in an instant. It definitely makes me realize I could be back there so quickly. If I don't do what I need to, you can come in here next time and I'd be a completely different person. That helps me dramatically. I love when I see people grasp the program. You're going to see successes, failures. I can wake up now and eat a bowl of cereal in the morning and take a shower, and I don't have to do anything else. On Sundays, I make coffee and sometimes sit for four hours. There was never a point before where I was even eligible to do that; I always had a priority [of getting drugs]. My life now, my son and my wife, definitely keep me going. They keep me watching myself. Putting a child in place ... if I can't stay sober for myself, I think about him. He's my lifeline. There's nothing I do on a daily basis that I don't think of him first before I do it. I don't even drive over the speed limit. I don't go to parties, I don't have alcohol at my house. There's a lot I need to do because my behavior in the past wasn't behavior I can continue doing. I'm really happy. I have everything in place that I need. There's nothing I can think of right now that I need. I have more than I need. There's nothing I even want. We are saddened to announce that Mary (Hackett) Challburg; a long-standing attendee of the PSST meetings has passed away. She gave hope and encouragement to many parents and she wrote on the PSST blog. We will miss you, Mary. Age 48, of Mount Lebanon, on Tuesday evening, July 19, 2011. Loving mother of Eric, Alexa and Jennifer Challburg; daughter of the late Patricia Hackett and Daniel A.; cherished sister of Jean (Tom) Dugan, Cathy (Jeff) Kennedy, Dan (Joah) Hackett, Janet (Joseph) King, Tricia (Bob) Stocker and the late John P. Hackett; also survived by her husband Scott; and 21 nieces and nephews. Mary graduated from the University of Pittsburgh with a Bachelor of Science degree in Social Work. She was employed as a social worker and therapist with Wesley Spectrum Services. Friends will be welcomed at LAUGHLIN MEMORIAL CHAPEL, 222 Washington Road, Mt. Lebanon Friday 1-4 and 6-9 p.m. Mass of Christian Burial will be celebrated in Saint Bernard Church, Saturday morning at 10 o'clock. Interment Queen of Heaven Cemetery. 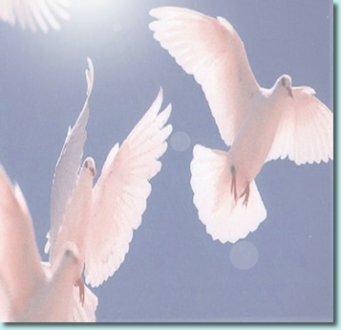 If desired, memorials may be made to Wesley Spectrum Services, 221 Penn Ave., Wilkinsburg, PA 15221. Parents and children are naturally inside of one hula-hoop from beginning to end. An unbroken circle of love, trust, loyalty and honesty. How do you process the information on your sons recent, multiple, E.R. visits who has been in placement for 12 months? But we have been there for his broken nose at age 3, first bee sting, first tooth loss, multiple strep infections, broken arm, Western Psychiatric Adolescent Unit admission and annual wellness check-ups. We have recorded every pound our four sons have gained, every inch they grew from birth to 17. How do you step back and listen to counselors, doctors, placement staff, and probation officers who seem to know your child better than you do? But this is our sacred space! How did all these people get into our hula-hoop? How do you rationally explain to an eighteen year old that his parents will no longer financially support him? But Dad and Mom have always been there to supply the most basic needs in life; shelter, clothing, food and, yes, many wonderful extras. It’s their responsibility, right? However, to supply funds means supplying an alcohol and drug habit that is a non-negotiable line item. How do you tell your eighteen year old child that he may no longer live in the home with his parents, siblings and pets? But it is our job as parents to provide for our children….. Many long, agonizing, years of behavior disorders, substance abuse and lies had us hovering over our child with each step he took, every decision he made; home, school and legal repercussions. We have spent hours driving to and from family counseling sessions, out-patient facilities, court rooms, detention centers and in-patient facilities so our son would not feel forgotten or un-loved. We are attempting to ground our helicopter instincts, although today the blades are whirling after yet another “I’m leaving this facility, I don’t care if I go back to Shuman” phone call last evening. Our hula-hoop now contains our other three sons with an additional small hula-hoop for our dual-disorder child. We will always visit and help guide his life decisions regarding mental and physical health, living conditions and work; but he needs to have a separate hula-hoop from the rest of our immediate family until he can manage his disorders and life; less the legal systems involvement. Upon reflection of my recent behavior at home, I have realized something. As a single mom, I have been having an extremely hard time letting Beaver "figure it out". "June, why are you beating yourself up [again]?" I asked myself, tapping my high heels and twirling my pearls. It finally dawned on me that if I let Beaver do something that caused him to perhaps fall flat on his face, that I would be pegged as a failure at being a Mom. Beaver has not been at home very much the last couple of years due to placement(s) in various rehab facilities. The fact that he is now home, working, and 18 [wahoo], with a dual diagnosis [another wahoo] has made the protective mother bear in me very prevalent. I do not want to see my son fail, no way—no how. "June, pull your head out of your behind," I said to myself. Side note - I am pondering whether I should permanently dye my hair brown, because of where it seems to be residing much of the time. Anyway……when I finally identified the reasons why I am feeling the way I do, it was a huge weight off my shoulders. And, it also helped me realize why I always feel the tears coming when I talk about this. My feeling of being a failure [which I’m not] leads to feelings of sadness [which is just plain stupid]. I got hold of my big girl pants and gave a mighty upward tug. YAHOO! I am not a failure—I am helping Beaver become an adult who can make positive decisions, learn from mistakes, and not fall apart in the interim. 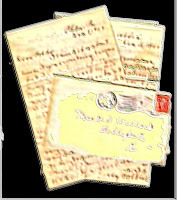 Two letters to the Court reprinted from our blog archive. Jane comes to the PSST meetings regularly. Her son, Elroy has a court hearing this week. Jane would like to read the following letter to the judge. We hope the judge takes this into account and that Elroy gets the help he so desperately needs. "Our family has been devastated, fractured, and nearly destroyed by drug abuse. We have been dealing with this for 10 years starting with my step-son who is now incarcerated in a state prison due to his actions while being under the influence of drugs. His drug problems began after his 18th birthday and he refused treatment. The chaos that has ensued has literally nearly destroyed our lives, our marriage, and our home. • He has been suspended from school, skipped classes, had numerous detentions, his grades have deteriorated, where he once talked about going to college, he now displays no interest or motivation and was most likely too impaired from being out all night to even show up to take a scheduled SAT exam. .
• He has been cited several times for disorderly conduct, possessing drug paraphernalia, curfew violations, stealing, and cheating in school. • He has put himself in dangerous situations where he has been assaulted and sustained one if not 2 concussions, requiring an ambulance ride to the ER. • He has no respect for the rules of our home and most often will “disappear” at least one night of every week-end and not come home, nor will he call, and we have no idea where he is, what he is doing, or if he is alive. • I have found drug paraphernalia in my home including, pipes, marijuana, papers, lighters, numerous empty Visine bottles, home made bongs/pipes made from pop cans and bottles, “grinders”, and toilet paper rolls stuffed with dryer sheets…all of which I still have in my possession and will utilize, if needed, to press charges. I have found blunts on my second floor roof that he has thrown out the window from the 3rd floor, ashes and seeds on my bathroom floor, and attempts at germinating marijuana seeds in our home. • He has stolen liquor and beer from our home and often he is “too sick” to go to school after being up late vomiting. He has had the poor judgment to video tape himself on my camera bragging that he drank an entire bottle of wine and later, that same evening took our vehicle without our permission. He also taped himself smoking a pipe of marijuana on a neighbors back patio. • He has distanced himself from the good relationships he had previously had with his grandparents and other family members, all of which love him dearly and worry about his safety. His current circle of friends has similarly had legal troubles and will be lucky if they graduate from high-school. • He has stolen money and personal property from our home. • As his mother, I will do whatever it takes to save his life. I will fight to do what it takes despite the anger, resentment, and the possible estrangement that may ensue to make sure he has a chance for a safe, productive life. * That without the opportunity of treatment that this downward spiral will continue and that instead of receiving a phone call that my son has been injured and arrive at the scene to find him being placed in a neck brace and on a back board before being transported to the hospital in an ambulance, that I will arrive on the scene to find him being placed on a gurney with a sheet over his face and being transported in a Coroner’s vehicle. I am here pleading to save his life." Editors Note: So far, since finishing treatment Elroy has stayed clean. He has had issues that his mother and probation are working together to address, but so far the progression of his disease has been arrested. Every day clean is one more day that Elroy's teenage brain does not suffer from the toxic effects of drugs. Editors Note2: If you want more of Jane's story, simply put "Jane" into our search window. For example, Visit 2 with Elroy is one of several that will show. This letter was read to one of our Juvenile Court Judges in 2007 by a PSST mother. We also borrowed this scenario at a PSST meeting for a courtroom role-play. Much thanks to the brave parents who granted permission for this letter to be posted. Both parents were present and gave testimony at the hearing. "Your Honor, Today I speak as a concerned loving parent, not a Drug and Alcohol professional. As I perceive the situation there are two Jarred's in this courtroom- the Jarred before drugs and the Jarred that has become a chronic Marijuana user. "The Jarred before drugs was an A-B student, played sports, was trustworthy, interacted with our family and made us laugh. Once the chemical took hold of Jarred- we see a completely different child. One who begins to fail school, one who requires approximately 45 minutes to be awakened in the morning that leads to Jarred yelling and screaming, kicking and fighting with us. We now receive numerous phone calls and letters from the school informing us that Jarred's grades are falling and even though he is in school he is constantly late for his First Period Class. He is also sleeping in class and being required to attend multiple behavior modification programs and in-school detentions and suspensions. He doesn't play any sports and really shows no interest in any activities. He verbally abuses us, lies to us and steals from us. He certainly wants almost no interaction with our family. We are so sad now and tried to help him with 2 outpatient programs, two inpatient programs, four drug and alcohol therapists, a psychiatrist, and ICM, and Cactus. "DESPITE ALL THAT WE ENDED UP HERE! "We do not feel Jarred is a criminal or a bad kid. He has just made some poor choices and needs some direction to the right path. Whatever is decided is out of our hands. I would just like to say that we do not feel comfortable sending Jarred to the the [name of facillity deleted] inpatient facility, since the last time he was there he ended up in the hospital due to getting possession of a razor blade and trying to tattoo his upper arm. We feel that the supervision was inadequate. "We miss the old Jarred and would love to have him back, but through this crazy journey with him we understand that the ultimate choice is up to him- no matter what is decided today. "THANK YOU FOR YOUR TIME!" Editors Note3: This young man stayed clean from marijuana and drugs after his release from rehab. He had other issues, but today he is clean, graduated from high school, and is employed fulltime and doing very well for himself. His parents, who attended a lot of PSST and one year were chosen as Parents of the Year in Allegheny County still ocassionlly attend PSST. They would be the first to admitt it took a long time to turn Jarred around, but it all was worth it in the end. It's been a while since our brochures were current. Finally, you can download both of our brochures, PSST Brochure and PSST Talking Talking Points Brochure in either word (.doc) or PDF (.pdf). You can find them on the left side margin of the blog underneath directions to Mt Lebanon United Methodist Church. If you have any trouble downloading these leave a comment or email me at lloyd.woodward@alleghenycourts.us. If you are downloading in word (.doc) format you may have to save the brochure to your computer before it will open. PDF brochure should just open up. Now you can email our brochures or print them out for people. Thanks for your patience becasue since we got the new location in Mt. Lebanon our brochures have been outdated. I just got this email today from a mother who attended PSST regularly a few years back. I'm not sure if she ever had a pen name. Let's call him Bryson and we'll call her Donna to protect anonymity. 3 years clean and sober today!!!! His business is thriving and he is engaged. His fiancee has a 3 year old daughter which he loves as his own child. On June 30th he became a father. Thank you again for the part you played in his recovery. I am so incredibly proud of him. You sure can post on the blog. Parents need to know there is hope!Bryson still has the same # and I do still check the blog. I'm THINKING about writing the story of my journey for your blog. I will e-mail it to you and you can decide if you can use it. I'm sure we would use it. We have four parent-editors now. WE love to print stories. 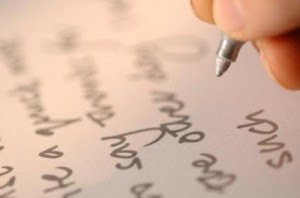 Did you ever have a pen-name for purposes of the blog? That has made it much easier for parents to share their stories with us. Your story is a really really good one- what a miracle! Note from Lloyd: This is very encouraging. There are times at PSST when it seems like everyone is sort of stuck in the process. Donna was like that too. She made a strong commitment to do what she could to help, but to no longer enable Bryson. Bryson spent a long time in placement. There is confusion about Home Contracts developed by parents separately from Probation Contracts. Is a Home Contract the same as the Conditions of Supervision developed by the Probation Officer for teenagers who are on Probation or on Consent Decree? No. Are they related? Yes. This is how the two work together although I'm sure that different Probation Officers might have different views on this. The goal of this post is to see how the two can compliment each other. 17) Make sure that a parent approves of all activities and plans. Complete tasks set by parent. Do not carry more than $20.00 cash. Parents should manage all money by saving monies in excess of 20.00. No overnights at friend's houses. Get up by 9:00 AM or earlier each morning. (New Clause) The above has been replaced with: Follow parent-rules and/ or Home Contract. Accept consequences from parents. Make sure that a parent approves of all activities and plans; avoid unaccounted blocks of time. Treat parents with respect. Complete tasks set by parent. Parents should assist money-management. Do not carry large sums of money. No overnights at friend's houses. Get up by 9:00 AM or earlier each morning. Probably, some of the confusion is that I didn't spell it out clearly enough before that the teenager needs to follow rules set up by his parents. That has been added. Even if you have an older contract, you can see that if a parent needs to "approve of all activities and plans," and "complete tasks set by parents", that the Probation Contract is already very supportive of any contract set up by parents. I also explain to each of my probationers that parents, not me, will do the heavy lifting when it comes to holding teens accountable for their behaviors, decisions, etc. So, if there is a curfew violation, parents hold teenagers responsible. PO may advise. Parents need to take an action to let the teenager know that this behavior is unacceptable. However, there are times that I as a Probation Officer step in to hold teenagers accountable. I spell this out for the teenager and now since I've gotten so many good questions about this I'm going to add it in writing on my Probation Contract. When does a Probation Officer step in? For the following events the Probation Officer will admit the Probationer to Shuman Center and not release before a Detention Hearing is held. At that time, anything is possible from release, one-week boot camp, Electronic Home Monitor, House Arrest or Detain and hold for appearance within ten days before a Judge. 1. A strong suspicion of drug abuse. We have zero tolerance for drug abuse and that of course includes alcohol. Some teens have been known to beat me to the punch by admitting themselves to short-term inpatient drug rehab. Still, upon release they may have to make the shuman trip but perhaps not. 3. 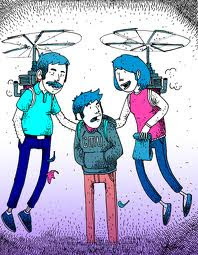 When the teenager is outside of parental control or if the parent requests that PO takes action.- e.g., parent holds teen accountable and teen refuses as in “you’re grounded” followed by “the hell I am- I’m out of here!” This also reinforces the parental contract. Parents hold teens accountable, if the teen won’t let the parent do that, then they deal with me. If they won’t let me do that, then they deal with police/ judge type of thing. If the parent requests that PO take action the teenager is probably outside of parental control. 4. Criminal behavior that results in, or could result in, new charges. For example, taking a parent's car without permission is criminal behavior. Even if the parents would rather not press those charges, it is still alleged Unauthorized Use of Motor Vehicle. The last time that happened we scheduled a Walk-in Detention Hearing. The youth was sanctioned but not detained; however, he was almost detained. 5. Failure to adjust or complete an inpatient treatment program or Court Placement. This could be a voluntary program paid for by insurance where the teenager is discharged for noncompliance or it could be a Court Commitment that is paid for by the County. Halfway Houses and 3/4 Quarter way Recovery Houses are included in this category. I think this covers everything. Of course suicidal behavior and suicidal ideation is a concern. Usually, a 302 or Voluntary commitment accessed by the Emergency Room of a hospital is preferable to Shuman Center. Upon discharge, however, a trip to Shuman may be in order depending on whether there are other violations and/ or if this also constitutes a Failure to adjust (complete) a inpatient treatment program. It can be difficult for parents to be honest with Probation. Parents become afraid that the teenager will be taken to Shuman Center. Still, keeping secrets for the teenager is very dangerous. Any keeping of significant secrets regarding Violations of Probation OR violations of Home Contracts almost always lead to more violations. For more on this click on BEST WAYS TO STOP ENABLING: WHAT TEENS IN TREATMENT TELL US. Also, if you read the five scenarios in which someone would be taken to Shuman you can see in that as long as teenagers are allowing their parents to hold them accountable, that probably won't happen. Even if a teen is taken to Shuman he might be released at a Detention Hearing albeit under tighter supervision of some sort. On the other hand, sometimes Shuman is just the ticket for keeping someone clean, safe, and alive. In the last news article I shared with those of you who are PSST (enter in the search bar "It's The Dopamine, Stupid " to read), one of the top addiction researchers in the country (if not the world) shared undeniable evidence of why addiction needs to be classified as a disease, and sobriety treated in a way similar to a cancer patient in remission; with on going follow-up. It is the hope that the entire medical and legal community accept this evidance as fact, so it may positively affect courses of treatment, insurance coverage, and improve social attitudes in the community and the workplace. I was thrilled to read in this mornings' paper the following article. Medical schools are stepping up to the plate, having Addiction Medicine as an accredited specialty, in which a resident may train and practice. 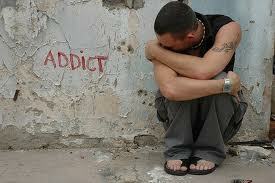 Addiction is a disease that must be managed over a lifetime, with on-going support similar to diabetes management. If only these people would come to a PSST meeting, we coulda told them!! Increasingly, the medical establishment is putting its weight behind the latter diagnosis. In the latest evidence, 10 medical schools have just introduced the first accredited residency programs in addiction medicine, where doctors who have completed medical school and a primary residency will be able to spend a year studying the relationship between addiction and brain chemistry. "This is a first step toward bringing recognition, respectability and rigor to addiction medicine," said David Withers, who oversees the new residency program at the Marworth Alcohol and Chemical Dependency Treatment Center in Waverly, Pa., just north of Scranton. The goal of the residency programs, which started July 1 with 20 students at the various schools, is to establish addiction medicine as a standard specialty along the lines of pediatrics, oncology or dermatology. The residents will treat patients with a range of addictions -- to alcohol, drugs, prescription medicines, nicotine and more -- and study the brain chemistry involved as well as the role of heredity. "In the past, the specialty was very much targeted toward psychiatrists," said Nora D. Volkow, the neuroscientist in charge of the National Institute on Drug Abuse. "It's a gap in our training program." She called the lack of substance-abuse education among general practitioners "a very serious problem." Schools offering the one-year residency are St. Luke's-Roosevelt Hospital in New York City, the University of Maryland Medical System, the University at Buffalo School of Medicine, the University of Cincinnati College of Medicine, the University of Minnesota Medical School, the University of Florida College of Medicine, the John A. Burns School of Medicine at the University of Hawaii, the University of Wisconsin School of Medicine and Public Health, Marworth and Boston University Medical Center. Some, like Marworth, have been offering programs in addiction medicine for years, simply without accreditation. The new accreditation comes courtesy of the American Board of Addiction Medicine, or ABAM, which was founded in 2007 to help promote the medical treatment of addiction. The group aims to get the program accredited by the Accreditation Council for Graduate Medical Education, a step that requires, among other things, establishing the program at a minimum of 20 schools. But it would mean that the addictions specialty would qualify as a "primary" residency, one that a newly minted doctor could take right out of school. Richard Blondell, the chairman of the training committee at the ABAM, said the group expected to accredit an additional 10-15 schools this year. Armed with that understanding, "the management of folks with addiction becomes very much like the management of other chronic diseases, such as asthma, hypertension or diabetes," said Daniel Alford, who oversees the program at Boston University Medical Center. Increasing interest in addiction medicine is a handful of promising new pharmaceuticals, most notably buprenorphine (sold under names like Suboxone), which has proved to ease withdrawal symptoms in heroin addicts and subsequently block cravings, though it causes side effects of its own. Few addiction medicine specialists advocate a path to recovery that depends solely on pharmacology, however. Equally maligned is the idea that psychiatry or 12-step programs are adequate for curing a disease with physical roots in the brain. Many people who abuse substances do not have psychiatric problems, Dr. Alford noted, adding, "I think there's absolutely a role for addiction psychiatrists." It seems there is an endless supply of people with “good intentions”, who have made it their mission to “fix” me. I do understand I have plenty of issues that could use some fixing but not by people who have not walked in my shoes, which are not so big right about now. They truly believe that if only I follow their advice my life will be “fixed”. Do they not know that I live my life morally with values so I could demonstrate direction for my sons in choosing between right and wrong. Do they not know I gave consequences for bad behaviors. Do they not know I how hard I tried to pick up the pieces left from their fathers suicide. Do they not know it’s hard to smile all the time when you live with the demon of addiction. Do they not know that I still get up each day and pray about the things I cannot change. Do they not know how hard each relapse can be. Do they not know that even though my son is an addict he is still a person with feelings. Do they not know I do not want them to pretend my son is dead. Do they not know I am learning not to enable and to detach with love. Do they not know I need support not criticism. Do they not know I sometimes just want a shoulder to cry on or an ear to listen. Do they not know I carry enough guilt (warranted or not) on my own, without their help. Do they not know I have tried everything I know to help my son and myself to live not just exist. Do they not know I understand that to live does not mean you’re alive. As I think about how these issues affect me. I have to also remember I have been guilty of some of them myself in dealing with my son. On this path of addiction I have learned from many of you, to listen more to what my child is really trying to say and act instead of reacting. Although I am not doing that so well right now with the good intentioners. My hope is that people will realize that just because my son is an addict does not mean I was an absentee parent. I was there to change his diapers, to stay up all night when he was sick, for his first steps, his first day of school, his first surgery, his first broken heart, the first lie I caught him it, the first bag of weed I found, the first pill, the first heroin stamp, the first relapse, the first court appearance, the first stay in Shuman..
No they do not know…. It’s easy to judge from the outside in (isn’t that an inpatient placement place?) which is something I have learned from our journey. I have made a conscious effort to try and not succumb to that temptation with not only people I meet, but also my son. I believe that I am stronger now, able to stand but every time I get knocked down by a good intentioner, it takes a little longer to get back up. As an addict's mother, I have learned, again from many of you, not to back down. They have stood me up at the gates of Hell (where families of addicts all have seen) but I WON’T BACK DOWN. I read a saying that time heals all wounds, but even healed wounds leave scars, which will be with us forever. I pray for healing of my wounds so I can start dealing with the scars. Although I don’t see the light at the end of the tunnel yet, I believe I do see a glimmer. So for today I will walk towards it and hopefully someday I will be out of the tunnel and into the sunshine with my boys at my side. Friday marked day 8 since Bam Bam came home from his placement. 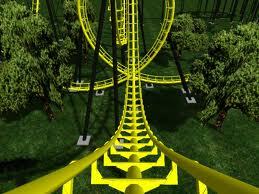 It has been a roller coaster week. Before we were even in the car he started up about wanting his cell phone and that he wants to upgrade to a smart phone. This had already been discussed and isn't happening for several weeks but he didn't want to let it go. I know that the phone is a huge status symbol for teens but for our teens it is more than that. It is drug paraphanalia. I already have smart controls on his phone so that up to 30 numbers can be blocked, the times he uses it can be controlled, etc. And we've told him, to even contemplate a smartphone he has to pay for the new phone and the monthly data plan (at least 2 months payments, in advance) and insurance. Now, this kid doesn't have a job, no money and even though in this first week he has filled out applications none of them have been submitted. I did take him to get his ears pierced with some birthday money he'd gotten so he did get to fulfill at least one life dream! The tatoo can wait until he is 18! Before discharge his counselor thought that he should be rewarded for doing a good job and we should bend the rules about no friends for special occasions like 4th of July. We went along with her recommendation on this. Well, he came home July 1st and then got to spend all day on the 4th with friends. I really don't know all what he did and where he was. He SAID that he was at community days celebration in a nearby borough. He told me he that at least one kid offered him weed but he said 'no' and said that his friend JC told him he shouldn't. He let it slip that he spoke with Eddie (the kid I most want him away from and that our local police told me that my son needs to stay away from) and then kind of caught himself and said it was on someone's phone. I'll never know for sure. On his discharge sheet it was recommended that he attend 90 meetings in 90 days. His counselor told him and us that she would be happy if he did at least 3 a week. Well, he hasn't been to any. He says he needs his phone to get contact numbers from people. Fred told him he could use paper and pen but he wasn't going for it. So we'll see if ever makes it to to one. On Thursday his friend Weezy was going to cut his hair. He had asked me if he could then hang out with him for a couple/few hours and I told him maybe, I would have to think about. Nothing more was discussed. Then on Thursday he does get his hair cut but then he ends up "chillin" with JC, sends me a text message (Fred has generously given Bam his phone) telling me he'll be home at 10. WHAT! He is not even supposed to be out at all. But of course Fred gave him his blessing. I was furious. We get him on the house phone with me on one extension, Fred on the other and of course Bam on the cell phone (which I might add DOES NOT have any controls so Bam Bam can call and text anybody he wants.) and we are talking. Bam is staying very calm, I'm not (which Fred points out later) and he says his dad said he could be out until 10:00 or 11:00. Fred said he said 9:00, I said he was only supposed to be with Weezy for a haircut and we NEVER finished the conversation on whether or not he could hang out. Bam Bam of course didn't hear any of that. (I found out later Fred went and picked him up at his request). He is really concerned that I know he came home of his own accord and that he doesn't have to go to court. His 2nd ACT 53 is on Tuesday and hopfully his case stays open. Friday he had his first aftercare counseling appointment with a therapist that supposedly does dual-diagnosis. We make a follow-up appointment for the next Friday. This place does not do drug testing so I have to do it myself at home or get scripts from his doctors to go to a lab. I do have one from the psychiatrist. The pediatricians office said I can call them when I need one and I can pick it up at the office. I was hoping for a stack of scripts. Today, he tells me this counselor isn't helping (AFTER ONE APPOINTMENT!) and he wants to do something else like Gateway or something like it (which he failed miserably at). I try to get a test from him but of course he can't comply so maybe later. He tells me it will be o.k. and we told him that's good-he can prove that he is clean. Meanwhile, during the week he was asking me to buy him NIACIN to help with weight loss. I told him absolutely not and wonder if he has relapsed and wants to try and get it out of his system. I have heard this doesn't really work but the kids think it does. Anyway, we have had ups and downs this week and now will have to see what happens next. I don't want to seem too negative but I don't think he'll be able to withstand the peer pressure and he is not giving up any of his friends. Well, how can I prevent them from being together when Bam Bam is out in the community, out of my control? He took a walk yesterday and was in this kids neighborhood. I think he told me so that if anyone saw him I would have heard from him first. Of course, he was going to another kids house. He decided to take a walk while both Fred and I were out of the house. Back to the work thing-he did try and work for a friend of ours as a laborer but Bam is basically lazy and a hypchondriac so the first day he complained that his back hurt and came home (job was in walking distance) and didn't go back. Our friend gave him another chance and he lasted 2 hours. So goodbye to $10 an hour. If you don't take care of yourself you can't take care of others. Set a good example for your addict by having your own life, where you pursue happiness by having good relationships, where you spend time with people you care about, and have strong interests and hobbies. Work out. Eat well. Get lots of sleep. Be strong. That way, when the real crisis comes you will be ready. Here are some excerpts from Regina Brett’s “45 life lessons and 5 to grow on”, published in the Cleveland Plain Dealer in 2007. These life lessons are good reminders about taking care of ourselves and keeping a positive attitude about life. This came up at last week's meeting. I remember talking about this years ago in PSST and referring to the Article by Lori, The Eight Things I Wish I Knew. This part about anger is only part of the article. Click on the above link if you wish to read the whole article. Hold onto some of the anger because sometimes you will still need it. Lately I've had several people ask about contracts. There are different ways to do contracts. It's an individual thing. It's a very good idea to use one especially if your teenager is returning home from rehab or from placement. We've written a few pieces about contracts and by putting "contract" (no need for quotes) in the search box in the upper right hand corner of the blog I'm proud to say that A LOT comes up. Give it a try. The time I have been waiting for..........Beaver is finally home after doing a stint at a rehabilitation facility. Actually multiple facilities but I digress. And I suppose longer than a ‘stint’—16 months, but who’s counting? It’s so funny, I’ve cried so many tears for things lost while the Beaver was away; his presence in the home, graduations, celebrations, holidays, birthdays, births, and deaths. Now the little scamp is back home and I am still crying! "Why are you doing this, June?" I ask myself. I listened for an answer but only heard some rap music playing—loudly. Was this the response I was waiting for? The first 30 days of Beaver’s return home I will fondly remember as the Super Glue days. Wherever Beaver went so did I. Wherever I went, so did the Beaver. Boy, that was some fun! A true bonding experience. We’ve now rolled into the second component of our new and improved lives. This is the "June releases the reins a bit" phase. Beaver gets to go out by himself. I now have to ‘trust’ that "people, places, and things" are behind us. [I say ‘us’ because this is a team effort.] 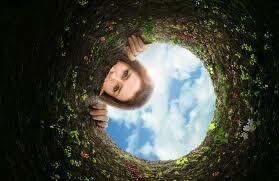 Beaver’s freedom is my trip down the rabbit hole. Every comment has to be processed, analyzed, and then processed again before it comes out of my mouth. Except for the other night. Little Beaver comes out of his room and approached the couch where I was reading. "What the h-ll did you do to your lip?!?" June screamed. "I pierced my lip!" Beaver said with a smile. That silly little Beaver thought it would be funny to put magnets on the inside and outside bottom lip to give him the "snake bite" look. I had forgotten how fast I can move when put to the test. "I’ll rip those out of your lip if you ever try that Beaver" June replies. Now, thinking back-- processing, analyzing, and processing again—I wouldn’t change a word of it. Beaver turns 18 next week. Joy, joy, joy! Beaver is getting a tattoo for his birthday present to himself. What could it possibly be? Would it be a heart with Mother in it? Or a little star, or moon? "Mom, guess what I’m getting on my back? It’s going to be ‘see no evil, hear no evil, speak no evil’ but instead of monkeys it’s going to be skulls!! Won’t that be cool? For the see no evil, there will be a knife gouging out an eyeball, and hear no evil will be a knife through the ears. And Jed [the tattoo artist] is going to make it mechanical looking, and it will look like they’re popping right out of my back! Awesome!!" said Beaver excitedly. "And it’s only going to cost $600! I am getting a great deal because he’s doing this special for me ‘cause I know him from NA and it’s my birthday and everything. I’m going to make sure I’m not scheduled to work on my birthday so I can get this done!" And, once again, down the rabbit hole I go. 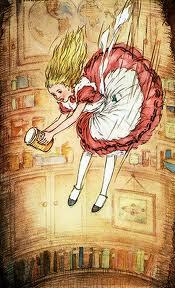 Perhaps I should change my name to Alice. We must accept finite disappointment, but we must never lose infinite hope. ~ Dr. Martin Luther King, Jr. Since first grade, Dylan has had difficulty reacting appropriately with authority figures on a consistent basis. At times, he became very angry and out of control. As concerned parents, we took him to therapists on and off during his elementary school years, and we often met with school administrators and teachers to put action plans and consequences in place. Thankfully, there were two relatively peaceful years during middle school, when it appeared that Dylan was outgrowing his behavior issues. But then the intermediate school years arrived, along with the early signs of puberty, and the situation worsened. A brief clash with the legal system that resulted in 6 months of probation appeared to be an eye-opener for Dylan. However, once his probation was over, his defiant behavior escalated exponentially. He often refused to attend school and/or to arrive there on time, was insubordinate with teachers and administrators but refused to serve the assigned detentions, and was openly unapologetic about smoking weed. He became more and more defiant with his parents, school administrators, teachers, and even the local police. We made numerous phone calls to the local police to “restore the peace” in our home, spent many sleepless nights wondering whether Dylan was going to leave the house to wander the neighborhood, and agonized over Dylan’s choices of questionable “friends”. We had strong support from the school staff and the local police, but throughout it all, we still felt lost, worried and heartsick. There were many dark, dark days. As grown adults who had successful work careers, we were being outfoxed at every turn by an openly defiant teenager who had gained too much power in our home. We were assured by various well-meaning people that we were good parents and were doing nothing wrong, but how could that be true, given the results? We felt so helpless. An administrator at our son’s school referred us to the Parents Survival Skills Training (PSST) blog, and we began to read some of the postings on the site. My husband (Brad) and I liked some of the advice that we saw on the blog, so we decided to attend a meeting to see what it was like. To be honest, we were skeptical. We are not meeting “groupies”. Airing our dirty family laundry in front of a bunch of strangers didn’t really sound like a fun way to spend 3 hours each Saturday morning. Did everyone go there just to get their problems off their chests so they would “feel better”?? We wanted answers. We wanted to learn how to parent a defiant child whose thoughts and actions were totally foreign and incomprehensible to us. We needed help. The outpouring of practical advice and encouragement from the Allegheny County Probation and Wesley Spectrum staff who coordinate the PSST meetings has been phenomenal. We are also grateful for the kindness and support from the other parents, whose personal journeys have been both a source of inspiration and a reality check for us. The blog itself is a great source of thoughtful and useful advice. Acting on sage guidance from the PSST professionals and parents, we pressed charges against our son and told the judge that we did not want him released back into our home. That was one of the hardest things that we ever had to do, but it wasn’t any harder than watching Dylan spiraling out of control. Less than 90 days after beginning our journey with the PSST group, Dylan was ordered by the courts into an intensive inpatient program. Two months have passed since that day in court. It has been very quiet & peaceful in our home. We miss Dylan – we miss his playfulness, his wit, and his ability to make us laugh – but we don’t miss the chaos and anxiety that choked us. We are comforted that he is safe and in a program that can help him gain some maturity and better decision-making skills. Dylan’s counselor tells us that he is still very vulnerable right now, as he struggles to focus on the personal changes that he needs to make. While Dylan is going through behavioral counseling, Brad & I are in training too. Through the weekly PSST sessions, Brad & I are learning new ideas and skills for dealing with our defiant, drug-using teen. We realize that we have been part of the problem, by not recognizing all the ways we were enabling our son as he pursued a self-destructive and risky path. A couple times each month, Brad and I join together with Dylan and his counselor for family counseling sessions, as we begin to prepare for our son’s eventual release from the program. We know that when Dylan returns home, that we will continue to have strong help and support from his probation officer and therapist, which will be crucial as we begin the real work of rebuilding our family. We recognize that we have a long and difficult road ahead of us, but knowing that we have so much support in our journey is reassuring. We are no longer helpless and alone. We have an army of supporters at our side, and the power of prayers from our family and friends. We are hopeful – and determined – that we will find the strength to meet each new challenge. WHAT DO YOU THINK? 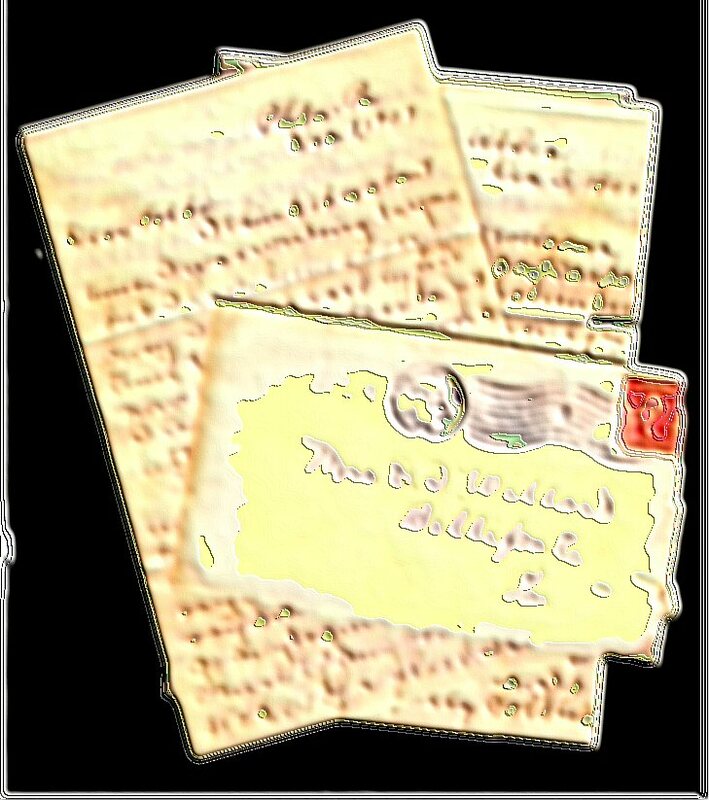 - The following letter (credited to Nar-Anon) was read at our Gateway YYAP family session. It led to some lively discussion by the teens and their parents. I am a drug addict. I need help -- from a doctor, a psychologist, a counselor, from an addict who found recovery in Narcotics Anonymous, and from God. Don't solve my problems for me. This only makes me lose respect for you. Don't lecture, moralize, scold, blame, or argue -- whether I am high or loaded or not. It may make you feel better, but it will make the situation worse. Don't lose your temper with me. It will destroy you and destroy any possibility of you helping me. Don't allow your anxiety for me make you do what I should do for myself. Don't cover up for me or try to spare me the consequences of my using. It may reduce the current crisis, but it will make my illness worse. Above all, Don't run away from reality as I do. Drug [or alcohol] dependence, my illness, gets worse as the using continues. Start now to learn, to understand, to plan for recovery [yours as well as mine]. Find Nar-Anon [or PSST] whose group exist to help the families of drug-abusers. Cisco's comment: Some of the parents felt there were too many "Don'ts" in the letter for them and not enough for their teen. I found this as a good message for all parents, and families, of addicts to end their codependent behavior. Dwelling on your addicted loved one's issues all of your busy days and all of your sleepless nights can ruin your health, your marriage and your family.